Many circuits can be designed as level indicators by using a comparator IC or transistors but these are costly and complex and also time consuming. 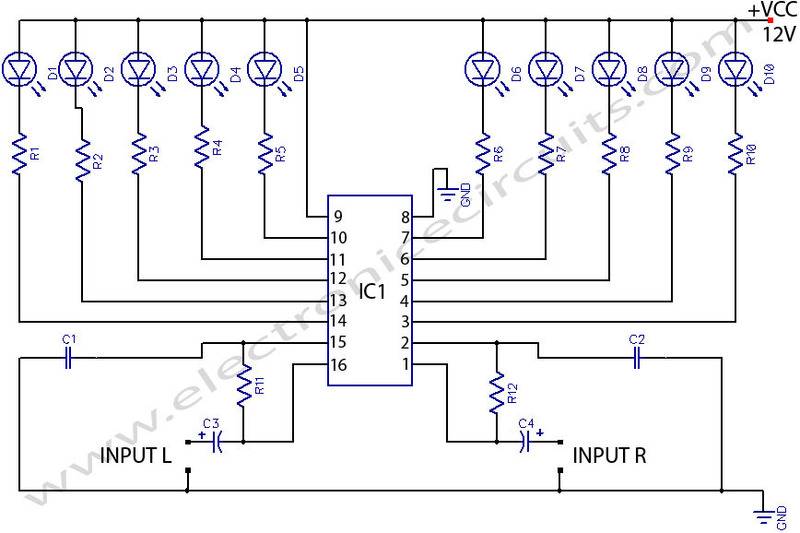 This circuit removes all the complexity by using a single TA7666p IC. LEDs are used as a power indicator. Different colour LEDs can be used for both the channels. One can also use an LED bargraph display. INPUT signals should be given from preamplifiers. Otherwise, LEDs will not glow at low volumes. If you have mono systems, signals should be given into both the channels. The input is given through two 4.7 µF capacitors and two 18k resistors to pins 1 and 16 respectively. If I was building a stereo amp using 2 LM386 chips would I need 2 TA7666 chips to display Left and Right channel volumes? 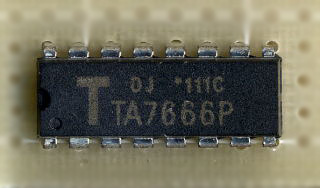 can i replace TA7668P for TA7666P ?? can i replace TA7668P for TA 7666P ?? It’s amazing when people try to do something technical and don’t even understand the fundamentals of the circuit. This generation needs everything handed to them so they can just blindly “do” without thinking. Is there an equivalent IC that works on <5V ? what IC can be use instead IC TA7666P? ?